This Workshop will combine a live performance, as well as demonstrate the elements of strong songwriting. She will also provide in-class writing activities to get them started and work with individuals on their writing goals. There will be a question and answer session at the end to ask about the art of songwriting. It will cover the following topics, all of which center around writing skills. Inspirational: Music with a Message! 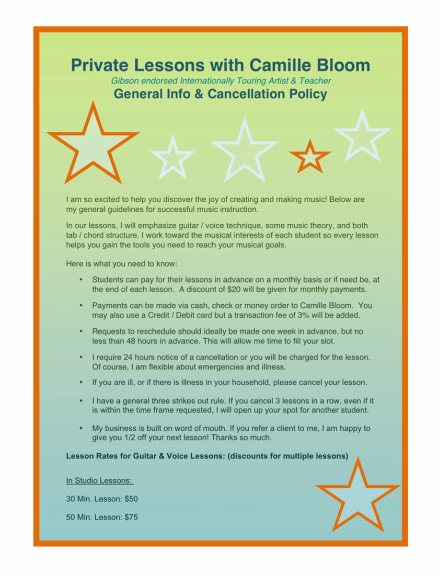 Camille Bloom, professional touring musician and experienced educator, is ready to perform and speak at your school! 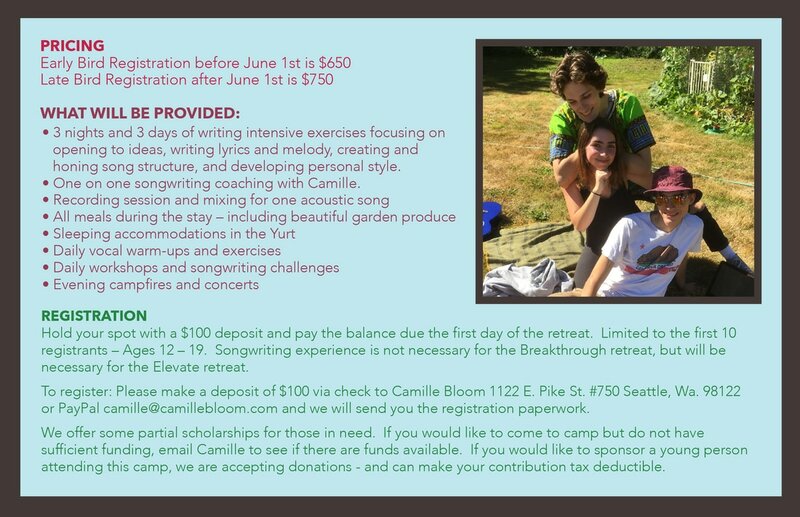 Nationally recognized on both television and radio for her music, Camille is a dynamic speaker and performer who uses original music as a vehicle to connect with kids all over the world. With 18 years of teaching experience, Camille blends her teaching degree with her vast experience in the music industry to create innovative and engaging workshops for people of all ages. She has worked with students from 4th grade through College, and has also given several adult workshops as well. So far, Camille has given workshops in 7 different countries, and continues to travel internationally giving workshops on songwriting and the music industry. Camille Bloom does not just talk to kids. She impacts them.